When you owe taxes to the IRS you file 2290 and make a payment and when IRS owes you money you file a 2290 claim and IRS sends you a check. Form 2290 has different claims and you need to identify and file it accordingly with the IRS to have your claims processed successfully. You can claim a credit for tax paid on a vehicle that was sold or destroyed or transferred or stolen and not intent to use during the left over tax period. Supporting documents required when you file a claim with the name to whom and when you sold the vehicle. A claim can also be made when tax dues are overpaid mistakenly for various reasons. Say for the same VIN number you could have reported tax and paid twice. Figured and reported Tax on a used vehicle which was already reported with IRS. Tax2290 e-file software eliminates the chances of making errors when you prepare 2290 returns. However, some people still print the computer generated return and mail it to the IRS instead of hitting the "Send" button. 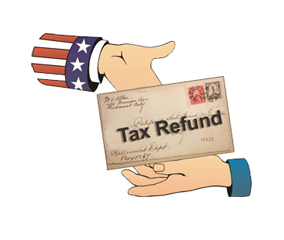 By mailing the return, taxpayers miss out on some important benefits of IRS e-file. It's fast: Your tax return will get processed more quickly if you use e-file. If there is an error on your return, it will typically be identified and can be corrected right away. If you choose to file your refund claims electronically, you will get it processed quickly. It's safe: Tax2290 is fully committed to protecting your tax information and e-filed returns are protected by the latest technology. In 20 years, nearly 800 million e-filed returns have been processed safely and securely by the IRS. It's Easy: The steps involved in e-filing returns on Tax2290 are very user friendly and easy-to-navigate and so don't miss out on the benefits of e-file that 2 out of 3 taxpayers get. 95 million people have already got benefitted. What about you? HVUT e-file will improve excise tax processing, save personal resources like time and money spent on postage and reduces preparation and processing errors.